It's God versus Science once again. This time, Science has placed a secret image right in God's face itself. Two American neuroscientists reportedly discovered a well-disguised drawing of a human brain in "Separation of Light from Darkness," by Renaissance painter Michelangelo. 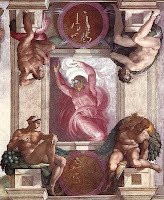 The Separation of Light from Darkness is one of the panels in the ceiling of the Sistine Chapel. It depicts scenes from the Book of Genesis, specifically the first day of Creation when God separated the light from the darkness. 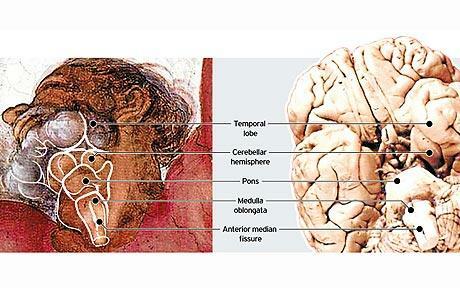 The hidden brain image is found in the depiction of God's neck and chin. 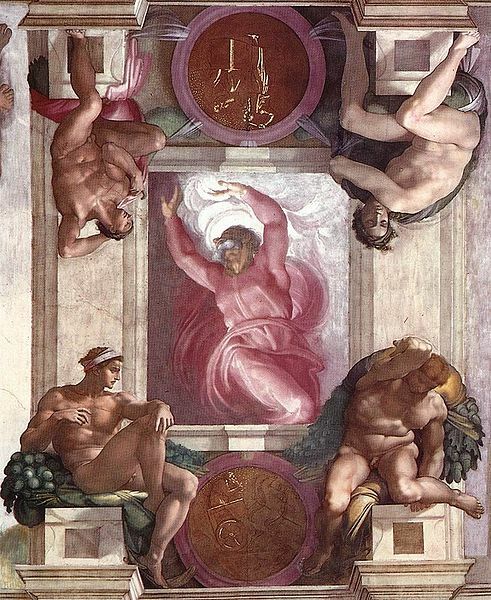 This stunt by Michelangelo is said to be a hidden attack to the Church, which at his time was aggressively oppressing people supporting the advancement of science. Openly showing off scientific information in front of a dominating enemy would have been a mistake, hence the hidden image. Michelangelo was not only a painter but also a talented anatomist known for dissecting cadavers, something that is considered unholy. That said, concealing within his own painting some scientific knowledge wouldn't be so hard, according to the neuroscientists Ian Suk and Rafael Tamargo of John Hopkins University School of Medicine. They propose this attack is a reference to the Michelangelo's growing belief that ordinary Christians are able to communicate with God without much help needed from the Church. Talk about separation of light (representing God) from darkness (representing the Church). Some would say why can't God (through his Church) and Science just stop fighting and make up and hug instead. Science is meant to explain the why and God the how, right? Truth be told I personally think it's over for God. Science can do both, eventually. If there's a reader there infuriated with what I just said, go ahead and rant in the comments corner. With images and quotes taken from the Telegraph report.